Corresponding author: B.A.R. Azman (abarahim@gmail.com). (C) 2010 B.A.R. Azman. This is an open access article distributed under the terms of the Creative Commons Attribution License, which permits unrestricted use, distribution, and reproduction in any medium, provided the original author and source are credited. 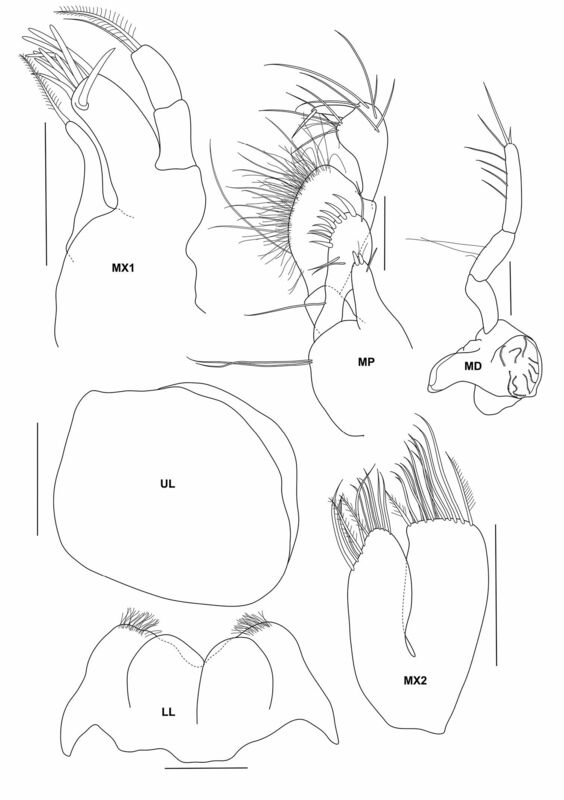 Two new species of urothoid amphipods from Pulau Sibu and Pulau Tinggi, Johor are described and illustrated. The specimens of Urothoe sibuensis new species were collected by vertical haul plankton net and is distinctively different from other existing Urothoe species by these combination of special characters; similar gnathopods 1–2 with short and stout propodus expanded into poorly defined palms; large eyes and epimeron 3 smooth. Urothoe tinggiensis new species as collected using an airlift suction sampler at seagrass area is characterized by its different gnathopodal configuration with setose dactylus of 5th pereopod; eyes minute; carpus is wider than merus in the 5th pereopod; subquadrate coxa 4; merus and carpus of pereopods 6–7 are linear. The genus Urothoe Dana, 1852 has been known to be cosmopolitan and is one of the most diverse genus of the family Urothoidae Bousfield, 1978. They are easily recognized by their small sized body and furnished with various fossorial adaptations in the form of extremely setose appendages (Barnard and Drummond 1982). They are also known to be very diverse in shallow habitats and act as an important component of the burrowing fauna of intertidal and shallow subtidal areas but scarce in the deep sea (Barnard and Karaman 1991). According to Bousfield’s (1978) classification, the family Urothoidae is characterized by a 7-segmented pereopod 5 with merus and propodus stoutly expanded. He included nine genera, namely Urothoe Dana, 1852 as type genus; Carangolia Barnard, 1961; Cunicus Griffiths, 1974; Haustoriella K.H. Barnard, 1931; Phoxocephalopsis Schellenberg, 1931; Urothopsis Ledoyer, 1969; Urohaustorius Sheard, 1936; Urothoides Stebbing, 1891; and Zobracho Barnard, 1961. However in 1982, Barnard and Drummond made a revision on the family and only retained Urothoides, Cunicus, Carangolia and Urothoe as members of the Urothoidae that possess the large ventral cheek on the head, the styliform-lanceolate and setose rami of uropods 1 & 2. Later, an additional two genera (Urothopsis and Pseudourothoe) were added bringing it to a total of six genera under the family Urothoidae (Barnard and Karaman 1991). Up till now, only one species, Urothoe gelasina Imbach, 1969 was recorded in Malaysian waters by Azman (2007), which was previously recorded in the Bay of Nhatrang, Vietnam. Taxonomic studies on Amphipoda in this region particularly in Malaysian waters is still sparse, nevertheless there is an increasing attempt to improve the knowledge and several contributions have been recently published such as Müller (1993), (Othman and Morino (1996, 2006), Othman and Azman (2007), Azman (2007), and Lim et al. (2010). In this paper we describe two new species from this region: Urothoe sibuensis new species and Urothoe tinggiensis new species. 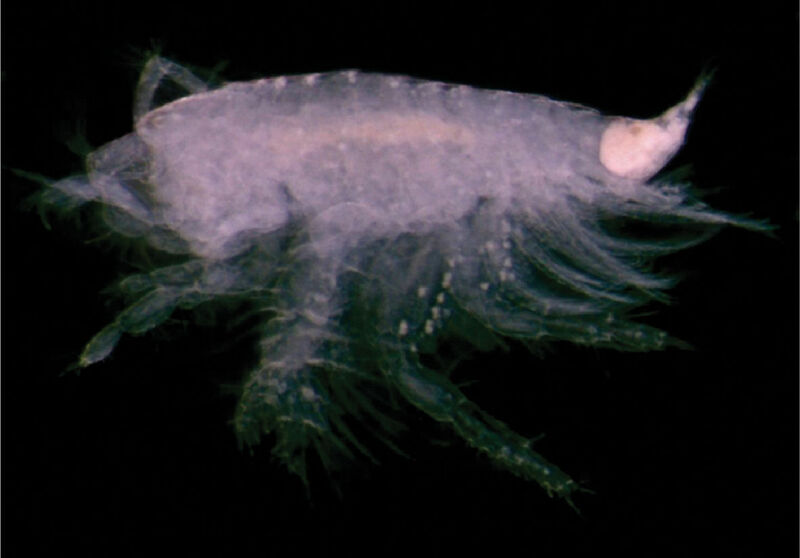 The amphipods in this study were obtained from Pulau Tinggi for Urothoe tinggiensis and Pulau Sibu for Urothoe sibuensis; both from the waters of Johor, southeast coast of Peninsular Malaysia (Figure 1). Airlift suction sampler and plankton net of 100 µm mesh size were used in the collection of the specimens. All materials are lodged in the Universiti Kebangsaan Malaysia Muzium Zoologi (UKMMZ). The following abbreviations are used on the plates: A, antenna; G, gnathopod; HD, head; LL, lower lip; MD, mandible; MX, maxilla; MP, maxilliped; P, pereopod; PL, pleopod; EP, epimeron; T, telson; U; uropod; UR, urosome; UL, upper lip; ♂, male; ♀, female. Pulau Tinggi and Pulau Sibu of East Johor Islands Archipelago, Malaysia. Urothoe irrostratus Dana, 1853, original designation. Molar process moderately to strongly developed. Gnathopods weak, subequal, variously subchelate. Pereopod 5 distinctly 7-segmented. Pereopods 6 and 7 subsimilar in form and size, strongly fossorial. Pereopod 7 not of phoxocephalid form, basis not shield-like. Abdomen not sharply narrowing or flexed at urosome. Uropod 3 rami subequal; long and slender. Telson deeply cleft. Urothoe contains fourty-five species: Urothoe abbreviata Sars, 1879; Urothoe atlantica Bellan-Santini & Menioui, 2004; Urothoe bairdii Bate, 1862; Urothoe brevicornis Bate, 1862; Urothoe carda Imbach, 1969; Urothoe chosani Hirayama, 1992; Urothoe corsica Bellan-Santini, 1965; Urothoe convexa Kim & Kim, 1992; Urothoe coxalis Griffiths, 1974; Urothoe cuspis Imbach 1969; Urothoe dentata Schellenberg, 1925; Urothoe denticulata Gurjanova, 1951; Urothoe elegans Bate, 1857; Urothoe elizae Cooper & Fincham, 1974; Urothoe falcata Schellenberg, 1931; Urothoe gelasina Imbach, 1969; Urothoe gelasina ambigua Hirayama, 1988; Urothoe grimaldii Chevreux, 1895; Urothoe grimaldii japonica Hirayama, 1988; Urothoe irrostrata Dana, 1853; Urothoe hesperiae Conradi, Lopez-Gonzalez & Bellan-Santini 1995; Urothoe intermedia Bellan-Santini & Ruffo, 1986; Urothoe latifrons Ren 1991; Urothoe leone Reid, 1951; Urothoe marina (Bate, 1857); Urothoe marionis Bellan-Santini & Ledoyer, 1986; Urothoe oniscoides (K.H. Barnard, 1932); Urothoe orientalis Gurjanova, 1938; Urothoe pestai Spandl, 1923; Urothoe pinnata K.H. Barnard, 1955; Urothoe platydactyla Rabindranath, 1971; Urothoe platypoda Griffiths, 1974; Urothoe poseidonis Reibisch, 1905; Urothoe poucheti Chevreux, 1888; Urothoe pulchella (Costa, 1853); Urothoe rotundifrons J.L. Barnard, 1962; Urothoe ruber Giles, 1888; Urothoe serrulidactyla K.H. Barnard, 1955; Urothoe sibuensis sp. n.; Urothoe spinidigitus Walker, 1904; Urothoe tinggiensis sp. n.; Urothoe tumorosa Griffiths, 1974; Urothoe varvarini Gurjanova, 1953; Urothoe vemae J.L. Barnard, 1962; Urothoe wellingtonensis Cooper, 1974. Dana established the genus Urothoe in 1852 with the description of Urothoe irrostrata, which was originally classified under the family Haustoriidae. However, in 1978, Bousfield did a thorough revision on the phylogenetic classification of the genus Urothoe and it was decided that the genus Urothoe was to be moved to the Urothoidae family. The genus Urothoe is closely related to Urothoides Stebbing, 1891, but differs in not presenting the phoxocephalid-like protruding shield of basis on pereopod 7 (Barnard and Drummond 1979). There are about 45 species of Urothoe recorded to date (including the two present species), ten species were found from the South China Sea while the others were recorded from the waters of northeast Atlantic, Mediterranean Sea, New Zealand, Japan, Korea, South Africa, Australia and the North East Atlantic. Holotype, male, 2.9 mm, UKMMZ-1394, seagrass area (Halophila ovalis, Halodule uninervis, Cymadocea serrulata, Halophila spinulosa) of Pulau Sibu, Johor, 2°13'55"N, 104°3'14"E, vertical haul plankton net (100 µm), 8 m, B.A.R. Azman, Melvin, C.W.H., Yoshida, T., 16 October 2008 (UKM I.D. 9047). Paratypes: 8 males, UKMMZ-1396, same station data. Pulau Sibu, Johor, Malaysia, South China Sea. This species is named after the type locality, Pulau Sibu, Johor. Urothoe sibuensis sp. n., holotype, male, (UKMMZ-1394), 2.9 mm. Pulau Sibu, Johor, South China Sea. Based on holotype male, 2.9 mm, UKMMZ-1394. Headsubequal in length to pereonite 1 – 3 combined, rostrum absent, lateroventral cephalic lobe less pronounced. Eyes present, well-developed, elliptic shape and large, lateral cephalic lobe of eye advanced slightly forward. Antenna 1 shorter than antenna 2; peduncular article 1 slightly longer than article 2, provided with a band of setae on anterior margin; main flagellum with about 7 articles, distinctively shorter than peduncle; accessory flagellum biarticulate. Antenna 2 about as long as body length; peduncle article 4 about twice as broad as long; gland cone absent; peduncular article 4 with robust setae along anterior margin; peduncular article 4 about as long as peduncular article 5; calceoli present; flagellum with about 30 articles. Upper lip semicircular. Lower lip inner plate large, shoulders broad, mandibular process significantly winged outward. Maxilla 1 inner plate with one plumose setae apically; outer plate biarticulate, one setae and one plumose setae apically; palp with10 robust setae apically. Maxilla 2 inner and outer plate covered with pinnate and simple setae apically. Mandible with molar semicircular and not well-developed; incisors smooth. Maxilliped inner plate elongated, bearing two blunt robust setae; outer plate suboval, with about 8 robust setae; palp 4-articulate, first article subquadrate, second article the widest, strongly setose on the inner margin, third article subtriangular, with several long setae; fourth article small and slender. Pereon Gnathopod 1 coxa subrectangular, narrow; basis elongate, posterior margin with several long and short setae; ischium subtriangular with several short setae along posterior margin; merus semicylindrical; carpus longer than propodus, about twice as broad as long, posterior margin densely setose; propodus slightly expanded distally; palm with several setae; dactylus large with setae at base. Gnathopod 2 coxa expanded ventrally; basis elongate with several long setae along posterior margin; ischium subtriangular with several long setae along posterior margin; merus subtriangular with rarely long and short setae present; carpus broad, longer than propodus, propodus subtriangular; dactylus similar to the dactylus of gnathopod 1. Pereopod 3 – 4 almost homopodous except pereopod 3 slightly broader than pereopod 4. Pereopod 3 coxa slightly expanding ventrally, basis elongate with few long setae at distal end of posterior margin; ischium broader than long with few long setae; merus twice as long as carpus, posterior margin with dense setae and several plumose setae; carpus subquadrate, several setae, plumose setae and robust setae present; propodus narrow, armed with several robust setae along posterior margin; dactylus nodulate. Pereopod 4 coxa subtriangular; basis elongate, few long setae with a plumose setae; ischium rarely setose; merus elongate, setose at posterior margin; carpus covered with several robust setae, setae and plumose setae; propodus narrow, with several robust setae; dactylus nodulate. Pereopod 5 coxa bilobial; basis expanding backward, several setae in the notch of posterior margin, several plumose setae situated distally; ischium wider than long; merus wider than long provided with transverse rows of robust setae medially and distally, several long plumose setae distally; carpus subequal of length and width, provided with traverse rows of spines medially and distally, several long plumose setae distally; propodus provided with 3 traverse rows of robust setae ventrally and 2 transverse rows of robust setae posteriorly, several long plumose setae medially; dactylus nodulate. Pereopods 6 – 7 slender from basis to propodus except for dactylus of pereopod 6 nodulate whereas dactylus of pereopod 7 slender and smooth, basis rounded posteriorly. Pleon Pleopods 1–3 peduncle distinctly longer than broad; biramous, multiarticulate. Uropod 1 peduncle with two rows of robust setae; rami subequal in length with long robust setae medially. Uropod 2 peduncle provided with several robust setae; rami subequal in length, outer ramus with a long robust setae medially and a distal setae. Uropod 3 well developed; both rami with long plumose setae; outer ramus 2 biarticulate; inner ramus shorter than outer ramus. Telson about 5/6 cleft; both lobes with robust setae apically and few setae medially and distally. Urothoe sibuensis sp. n., holotype, male, (UKMMZ-1394), 2.9 mm. Pulau Sibu, Johor, South China Sea. All scales represent 0.1 mm. Urothoe sibuensis sp. n., holotype, male, (UKMMZ-1394), 2.9 mm. Pulau Sibu, Johor, South China Sea. All scales represent 0.05 mm. Urothoe sibuensis is very closely related to the ‘elegans’ group, defined by J.L. Barnard (1962), which included twenty other Urothoe species. This group of species is characterized by having similar gnathopods 1 – 2 with short and stout propodus expanded into poorly defined palms. Despite of that, detectable distinctions of morphological characters are found between the present species and the members of this group. As such, Urothoe sibuensis differs in not having defining robust setae in propodus of gnathopods 1 – 2 (defining robust setae present in Urothoe gelasina, Urothoe gelasina ambigua, Urothoe poucheti, Urothoe varvarini), the antenna 2 significantly longer than antenna 1 (antenna subequal in length in Urothoe bairdii, Urothoe brevicornis, Urothoe hesperiae, Urothoe intermedia, Urothoe marina), epimeron 3 smooth (epimeron 3 having distinct tooth in Urothoe chosani, Urothoe dentata, Urothoe denticulata, Urothoe marionis), presence of eyes (absence of eyes in Urothoe abbreviata, Urothoe latifrons, Urothoe vemae), merus and carpus of pereopod 5 are both subequal in width (merus is wider than carpus of pereopod 5 in Urothoe pulchella, Urothoe spinidigitus), epimeron 2 having several plumose setae (epimeron 2 naked in Urothoe elegans) and a less pronounced cephalic lobe (lateroventral cephalic corner of Urothoe corsica produced and upturned). The present species is especially close to Urothoe spinidigitus Walker, 1904. It differs from Urothoe spinidigitus by the absence of rostrum in the present species (small rostrum present in Urothoe spinidigitus) and the absence of defining palmar spines in both gnathopods. The dactylus of pereopod 5 in Walker’s species bears 4 short and 4 long robust setae whereas Urothoe sibuensis possesses a nodulate dactylus in its pereopod 5. The subequal merus and carpus of pereopod 5 in the present species clearly distinguish it from Urothoe spinidigitus that has carpus twice as broad as merus. Holotype, female, 2.0 mm, UKMMZ-1399, muddy-sand substrate of Pulau Tinggi, 2°16'51.70"N, 104°7'15.96"E, airlift suction sampler, 9 m, B.A.R. Azman, C.W.H. Melvin, J.H.C. Lim, 19 July 2007, UKM I.D. 8632. Paratype: 4 females UKMMZ-1401, same station data. Urothoe tinggiensis sp. n., holotype, female, (UKMMZ-1399), 2.0 mm. Pulau Tinggi, Johor, South China Sea. 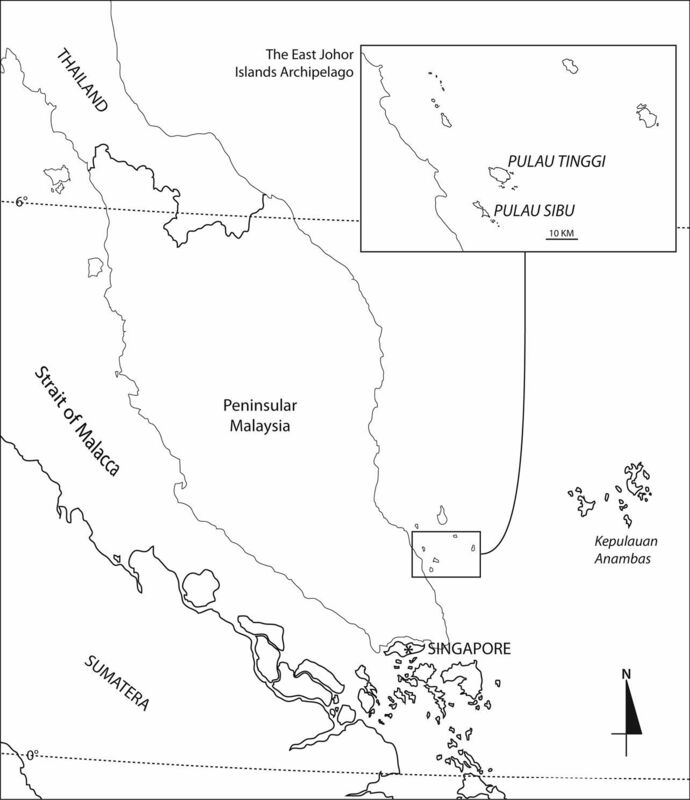 Named after the type locality, Pulau Tinggi in East Johor, Malaysia. Based on holotype female, 2.0 mm, UKMMZ-1399. Head lateroventral cephalic lobes rounded and very pronounced, rostrum absent. Eyes minute, circular. Antenna 1 peduncular articles 1 – 2 provided with setae along the ventral margin; accessory flagellum triarticulate; main flagellum distinctly shorter than peduncle, about as long as peduncle article 3, 5 articulate. Antenna 2 subequal to antenna 1; flagellum biarticulae; first article with several robust setae and long setae all over; second article with several robust setae and long setae. Upper lip semicircular. Lower lip inner plate large, shoulders broad, mandibular process prominently winged outward. Maxilla 1 inner plate with pinnate seta apically; outer plate with two setae, one pinnate and a seta; palp densely filled with robust setae apically. Maxilla 2 inner and outer plates furnished with pinnate and simple setae. Mandible molar rounded and well-developed; incisor smooth; palp strong; first article shorter than second article; second and third article subequal in length; third article with several robust setae distally. Maxilliped inner plate elongate with about 2 blunt robust setae; outer plate suboval with several spines and setae; palp 4-articulate, second article wide and densely setose on inner margin, third article subtrianglular with several long setae, fourth article subtriangular and small. Pereon Gnathopod 1 coxa narrow, subrectangular; basis elongate with several long setae along the posterior margin; carpus broad furnished with several setae at posterior margin, about as broad as long; propodus wide with several long setae situated anterodistally; dactylus normal. Gnathopod 2 coxa narrow, subrectangular; basis elongate with several long setae along the posterior margin; carpus suboval in shape; propodus wide provided with several long setae at anterodistal angle; dactylus falcate, slightly extending palm when closed. Pereopod 3 – 4 homopodous, coxa subquadrate; basis elongate provided with few long setae; carpus twice as long as merus; propodus narrow; dactylus nodulate. Pereopod 5 coxa small, bilobate; basis semicircular, few plumose setae along posterior margin; ischium wider than long; merus wider than long, provided with two transverse rows of robust setae and a row of plumose setae; carpus twice as long as wide, 4 transverse rows of robust setae, one traverse row of plumose setae; propodus longer than wide, provided with 3 traverse rows of robust setae; dactylus large, with 3–4 robust setae along anterior margin. Pereopod 6 coxa subquadrate; basis wide, oval shape, several plumose setae along posterior margin; merus longer than wide; carpus longer than wide, robust setae along anterior margin; propodus shorter than merus, robust setae along anterior margin; dactylus nodulate. Pereopod 7 coxa subtriangular; basis oval shape; merus longer than wide, few robust setae; carpus longer than wide, robust setae along anterior margin and posterior margin; propodus longer than wide provided with several robust setae; dactylus nodulate. Pleon Pleopods 1–3 peduncle shortened and slightly expanded distally; outer ramus longer than inner ramus; rami multiarticulate. Uropod 1 peduncle with several robust setae lining at the medial margin and distally; rami subequal in length. Uropod 2 peduncle provided with 2 robust setae and a robust seta distally; rami subequal in length. Uropod 3 well developed; both rami with long plumose setae; outer ramus 2 biarticulate; inner ramus shorter than outer ramus. Telson about 5/6 cleft; both lobes with 2 setae apically and a seta medially. Urothoe tinggiensis sp. n., holotype, female, (UKMMZ-1399), 2.0 mm. Pulau Tinggi, Johor, South China Sea. All scales represent 0.1 mm. Urothoe tinggiensis sp. n., holotype, female, (UKMMZ-1399), 2.0 mm. Pulau Tinggi, Johor, South China Sea. All scales represent 0.05 mm. According to the proposed classification of the ‘falcata’ group by Barnard (1962), members of this group possess dissimilar gnathopods; gnathopod 1 simple, elongated and slender propodus, bearing no palm; gnathopod 2 has a suboval or slightly expanding propodus with a distinct, rounded palm. With these characters our species is clearly attributed to the ‘falcata’ group. However, there are perceivable differences that can be ruled out between the new species and all the members of the group. As such, the setose dactylus of pereopod 5 in Urothoe tinggiensis is readily distinguished from the non-spinose dactylus of pereopod 5 in Urothoe pinnata and Urothoe tumorosa. Differing from Urothoe platydactyla in the expanding and elliptical shape of the pereopod 5 dactylus. Both the pereopod 6 and 7 are somewhat different from Urothoe platypoda; the merus and carpus in Urothoe tinggiensis is considerably linear and elongated while the merus and carpus of both pereopod 6 and 7 in Urothoe platypoda are lobed posteriorly. The enormously produced coxa 4 in Urothoe coxalis is contrastingly distinctive from the normal subquadrate coxa 4 of Urothoe tinggiensis. The new species appears to have close affinities to Urothoe orientalis due to the wide carpus of pereopod 5 but clearly distinguished from the latter in the shape of propodus of gnathopod 1 and the absence of robust setae on the outer ramus of uropods 1 and 2. Urothoe tinggiensis is also distinguished from Urothoe oniscoides by the presence of eyes. The new species has some remarkable similarities with Urothoe cuspis Imbach, 1969 from Bay of Nhatrang, Vietnam, but seem to be different from the latter in the acuminate cuspidate coxa 2. The authors would like to thank the following people for their help; Jacqueline Lim Hui Chern, Gan Sim Yee, and Shamsul Bahar who assisted in the field sampling. We also would like to thank Dr. Jim Lowry (Australian Museum, Sydney) and anonymous referees for their useful comments on the manuscript. This research was funded by the Ministry of Science, Technology and Innovation (UKM-ST-08-FRGS0020-2009) and UKM research grant (UKM-GGPM-PLW-034-2010). Many thanks are also due to the Marine Park Section, Department of Fisheries, Malaysia. 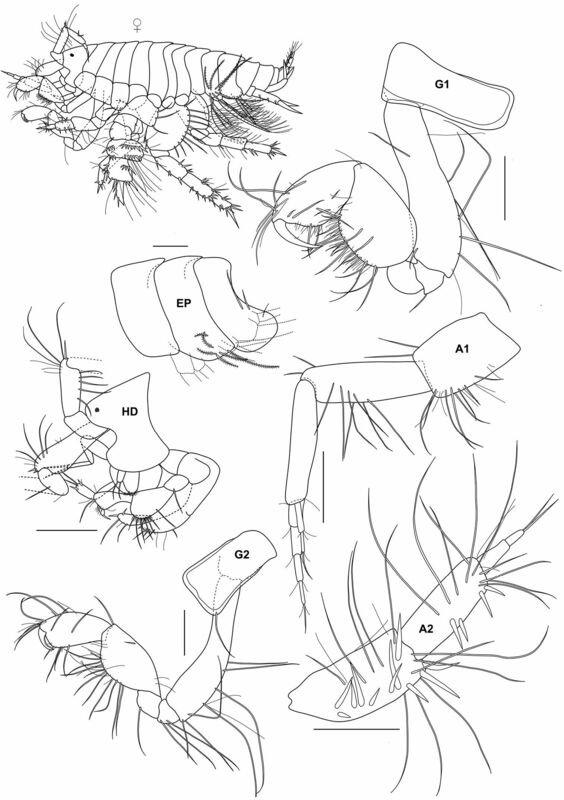 Azman BAR (2007) Shallow water marine Gammaridean amphipods of Peninsular Malaysia. PhD thesis, Universiti Kebangsaan Malaysia, Bangi, Selangor..
Bate CS (1957) A synopsis of the British edriophthalmous Crustacea. Annals and Magazine of Natural History, series 2, 19: 135–152. Bate CS (1862) Catalogue of the specimens of amphipodus Crustacea in the collection of the British Museum. British Museum of Natural History, London. Barnard JL (1962) South Atlantic abyssal amphipods collected by R. V. Verna. Abyssal crustacean. Verna Research Series 1: 1–78. Barnard JL, Drummond MM (1979) Gammaridean Amphipoda of Australia, Part IV. Smithsonian Contributions to Zoology 269: 1–69. Barnard JL, Drummond MM (1982) Gammaridean Amphipoda of Australia, Part V. Smithsonian Contributions to Zoology 360: 1–148. 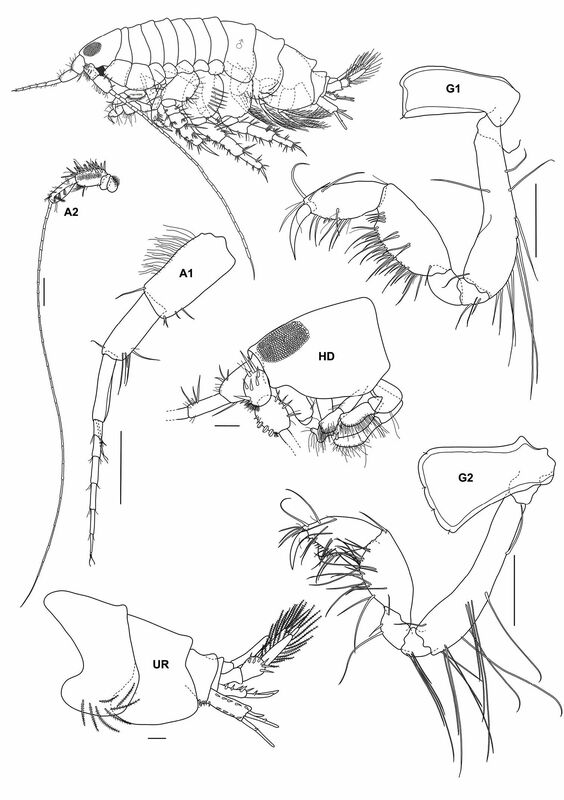 Barnard JL, Karaman GS (1991) The families and genera of marine Gammaridean Amphipoda (Except Marine Gammaroids). Records of Australian Museum. Part I.:41-412. Barnard KH (1932) Amphipoda. Discovery Reports 5: 1–326. Barnard KH (1955) Additions to the fauna-list of South African Curstacea and Pycnogonida. Annals of the South African Museum 43: 1–107. Bellan-Santini D (1965) Contribution a l’etude du genre amphipodes profonds de la Mediterranee (parages de Monaco – cotes de Corse). Bulletin de l’Institut Oceanographique 65(1355): 16. Bellan-Santini D, Ledoyer M (1986) Gammariens (Crustacea, Amphipoda) des Iles Marion et Prince Edward. Bolletino Museo Civico Storia Naturale Verona 13: 349–435. Bellan-Santini D, Menioui M (2004) Une nouvelle espece d’Urothoe, Urothoe atlantica (Crustacea: Amphipoda: Urothoidae) de la cote atlantique du Maroc. Cahiers de Biologie Marine 45: 305–312. Bellan-Santini D, Ruffo S (1986) Urothoe intermedia espéce nouvelle recoltée dans le Canal du Suez (Crustacea Amphipoda, Haustoriidae s.l.). Bollettino del Museo Civico di Storia Naturale di Verona 12(1985): 85–95. 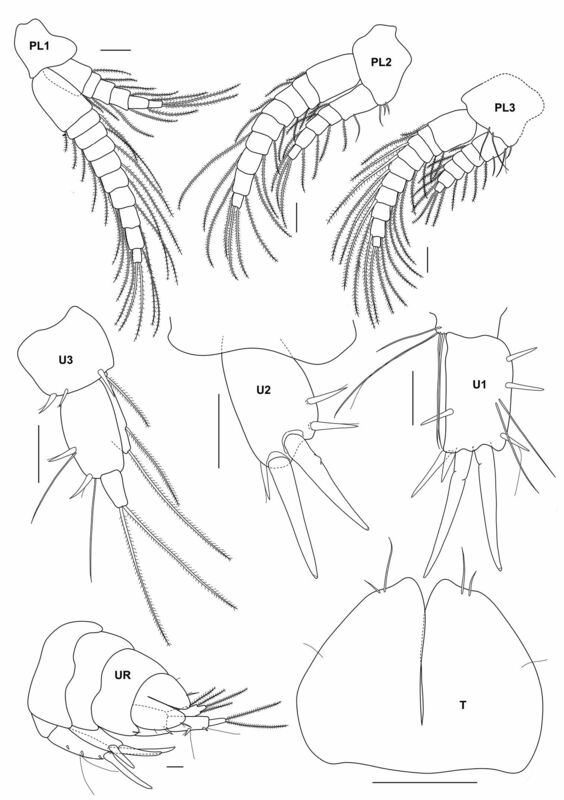 Bousfield EL (1978) A revised classification and phylogeny of amphipod crustaceans. Transactions of the Royal Society of Canada 4(16): 343–390. Chevreux E (1888) Troisieme champagne de l’Hirondelle, 1887. Sur quelques crustaces amphipodes du littoral de Acores. Bulletin de la Societe d’Etudes Scientific de Paris 11: 12–23. Chevreux E (1895) Les amphipodes des premieres campagnes de la Princesse-Alice. Memoir de la Societe Zoologique de France 7: 424–435. Conradi M, López-Gónzalez PJ, Bellan-Santini D (1995) A new species of Urothoe (Amphipoda, Gammaridea) from the Iberian peninsula. Cahiers de Biologie Marine 36: 9–13. Cooper RD (1974) Preliminary diagnoses of three new amphipod species from Wellington Harbour (note). New Zealand Journal of Marine and Freshwater Research 8: 239–241. Cooper RD, Fincham AA (1974) New species of Haustoriidae, Phoxocephalidae, and Oedicerotidae (Crustacea: Amphipoda) from northern and southern New Zealand. Records of the Dominion Museum 8: 159–179. Costa A (1953) Relazione sulla memora del Dottor Achille Costa, di ricerche su’ crostacei amfipodi del regno di Napoli. Rendiconto della Societa Reale Borbonica, Accademia delle Scienze, new series 2: 167–178. Dana JD (1853) Crustacea Part II. United States Exploring Expedition 14: 689–1618. Giles GM (1888) No. 9. 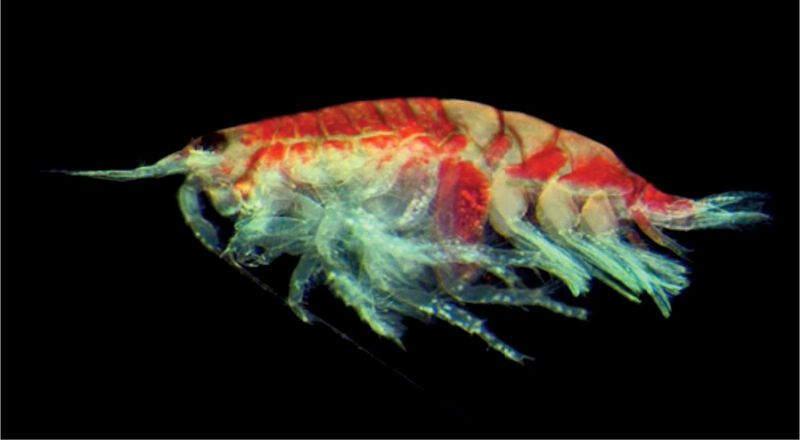 Further notes on the Amphipoda of Indian waters. Natural history notes from H.M.’s India survey steamer ‘Investigator’, commander Alfred Carpenter, R.N., D.S.O, commanding. Journal of the Asiatic Society of Bengal 57: 220–225. Griffiths CL (1974a) The Amphipoda of southern Africa Part 3. The Gammaridea and Capprelidea of Natal. Annals of the South African Museum 62: 209–264. Griffiths CL (1974b) The Amhipoda of Southern Africa. Part 4. The Gammaridea and Caprellidea of the Cape Province east of Cape Agulhas. Annals of the South African Museum 65: 251–336. 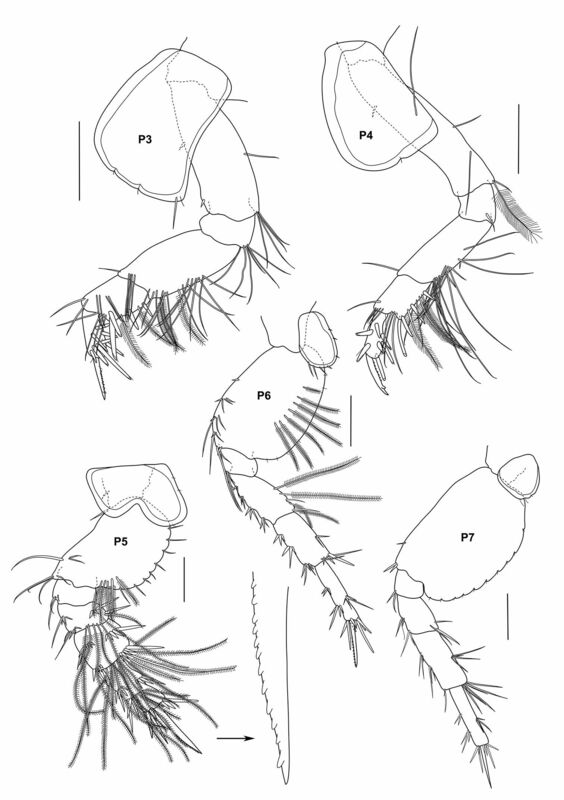 Griffiths CL (1976) Guide to the benthic marine amphipods of Southern Africa. The Rustica Press, Cape Town. Gurjanova EF (1938) Amphipoda, Gammaroidea of Siaukhu Bay and Sudzukhe Bay (Japan Sea). Reports of the Japan Sea Hydrobiological Expedition of the Zoological Institute of the Academy of Sciences USSR in 1934 1: 241–404. Gurjanova EF (1951) Bokoplavy morej SSSR I sopredel’nykh vod (Amphipoda-Gammaridea). Akademiia Nauk SSSR. Opredeliteli po Faune SSSR 41: 1029. Gurjanova EF (1953) Novye dopolnenija k dal’nevostochnoi faune morskik bokoplavov. Akademiia Nauk SSSR, Trudy Zoologicheskogo Instituta 12: 171–194. 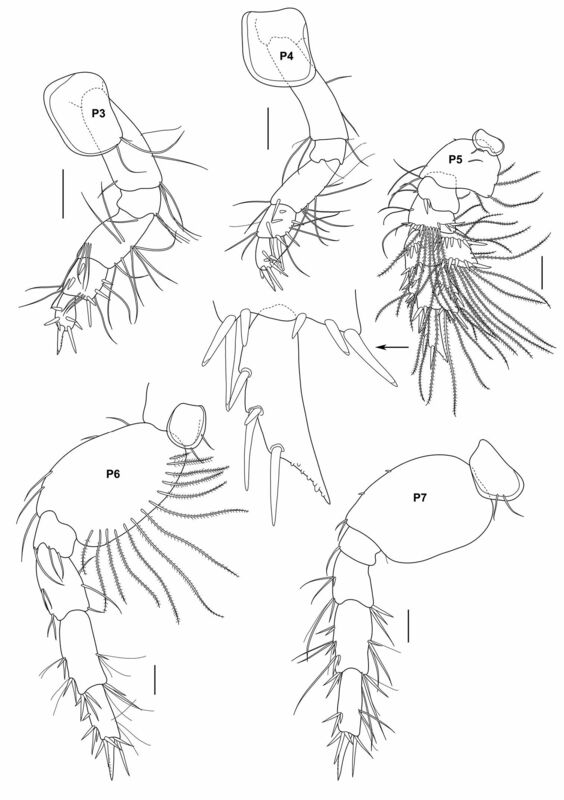 Hirayama A (1988) Taxonomic studies on the shallow water gammaridean Amphipoda of the west Kyushu, Japan. VIII. Pleustidae, Pdoceridae, Priscomilitaridae, Stenothoidae, Synopiidae and Urothoidae. Publications of the Seto Marine Biological Laboratory 30(1/3): 39–77. Hirayama A (1992) Phoxocephalidae and Urothoidae (Crustacea: Amphipoda) from Hong Kong. Asian Marine Biology 9: 111–116. Imbach MC (1969) Gammaridean Amphipoda from the South China Sea. Naga Report 4: 39–167. Kim CB, Kim W (1991) Urothoe convexa, a new gammarid species from Korea (Amphipoda: Urothoidae). Korean Journal of Zoology 34: 253–256. Lim JHC, Azman BAR, Othman BHR (2010) Melitoid amhipods of the genera Ceradocus Costa, 1853 and Victoriopisa Karaman and Barnard, 1979 (Crustacea: Amphipoda: Maeridae) from the South China Sea, Malaysia. Zootaxa 2384:23-39. Müller HG (1993) Rostrogitanopsis karamani n. sp., the first record of the genus from the Asian region (Amphipoda: Gammaridae: Amphilochidae). Revue Suisse de Zoologie 100:19-24. 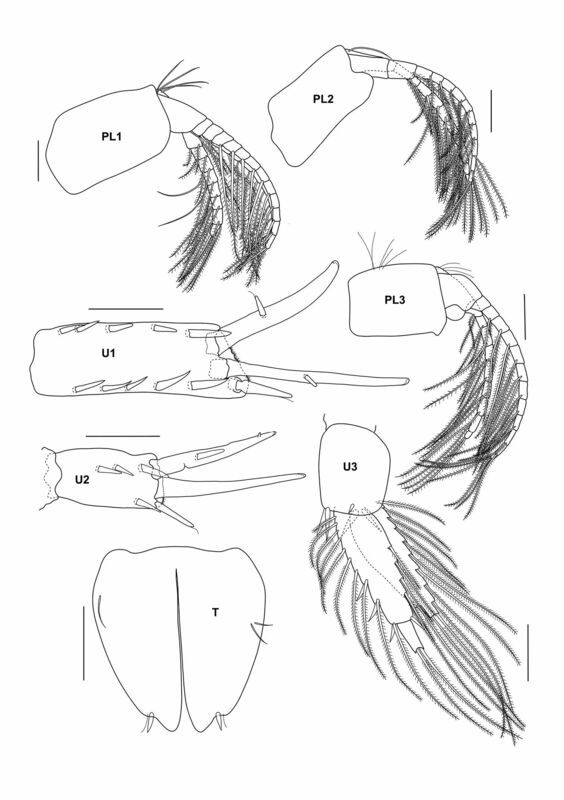 Othman BHR, Azman BAR (2007) A new species of Talitridae (Amphipoda: Gammaridea) from Tioman Island, Malaysia. Zootaxa 1454:59-68. 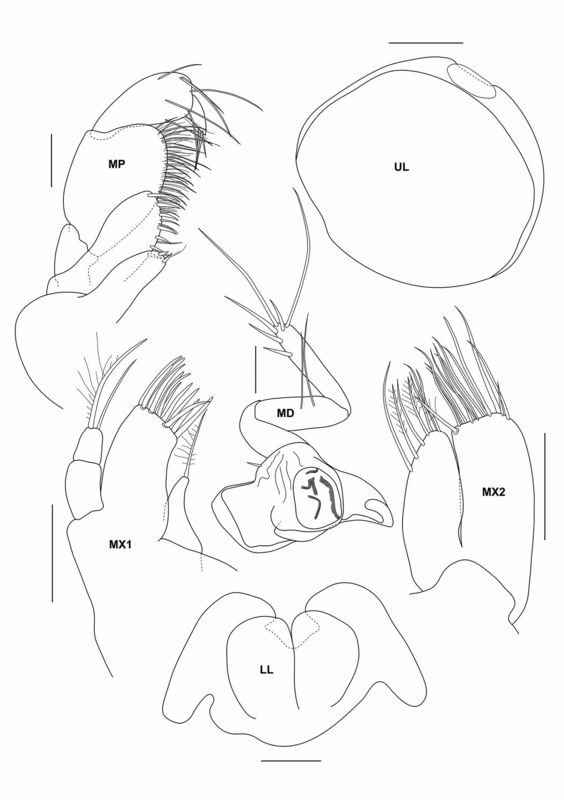 Othman BHR, Morino H (1996) A new species of the genus Indischnopus from Malaysia (Crustacea, Amphipoda, Platyiscnopidae). Bolletino del Museuo Civico di Storia Naturale di Verona 20:105-115. Rabindranath P (1971) Haustoriid amphipods (Crustacea, Amphipoda) from India. Hydrobiologia 38: 521–539. Reibisch J (1905) Faunistisch-biologische Untersuchungen uber Amphipoden der Nordsee. I. teil. Wissenschaftliche Meeresuntersuchungen Kommission Kiel, new series 8: 145–188. Reid DM (1951) Report on the Amphipoda (Gammaridea and Caprellidea) of the coast of tropical West Africa. Atlantide Report 2: 189–291. Ren X (1991) Contribution to the study of marine biology in the Nasha Islands and the neighbouring waters I. China Ocean Press 4:181–188. Sars GO (1879) Crustacea et Pycnogonida nova in itinere 2do et 3tio expeditionis Norvegicae anno 1877 & 78 collecta. (Prodromus descriptionis). Archiv for Mathmatik og Naturvidenskab 4: 427–476. Schellenberg A (1925) Crustacea VIII: Amphipoda. Volume 3. In: W. Michaelsen (Ed) Beitrage zur Kenntnis der Meeresfauna Westafrikas. L. Friedrichsohn & Co, Hamburg, 111–204. Schellenberg A (1931) Gammaridean und Capprelidean des Magellangebietes, Sudgeorgiens und der Westantarktis. Further Zoological Results of the Swedish Antartic Expedition 1901–1903. 2(6): 299. Spandl H (1923) Amphipoden der ‘Pola’-Expeditionen in das Rote Meer. Akademia Wissenschaftlichen Wien, Anzeiger, 60 Jahrgang, 1923, [in 3 parts]: 17–20, 87–80, 111–112. Walker AO (1904) Report on the Amphipoda collected by Professor Herdman, at Ceylon, in 1902. Report to the Government of Ceylon on the Pearl Oyster Fisheries of the Gulf of Manaar, Supplementary Report 17: 229–300.